After I moved, my indoor cats began to spend time outdoors. May had been going outside for a week when I asked her why she never left the front door area. "I am afraid of getting lost." I understood and told her she could do whatever she pleased. A couple of days later she did not return home on Friday night. After twenty-four hours she was still not home. When I connected with her, she told me she was lost. I was concerned and asked my other cat, Nikita, to help me get May home. We lay down together and I held his paw in my hand. We connected with May and she described where she was (in the woods) and which direction she had originally walked. Nikita offered to enter her perspective and point her towards home. His eyes rolled back in his head and he began twitching, convulsing, and meowing (a condition I have never witnessed before). He gradually fell asleep and May told me she would try to find her way. Three hours later she was waiting by the door! 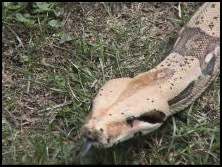 Royal Python snakes (commonly known as Ball Pythons) are notorious for refusing to eat for excruciatingly long periods of time—excruciating for the snake’s person, that is. I was aware of this before my snake, Wise One, stopped eating for several months this past summer. At first, I decided not to panic since he had done this before. Eventually, I started to worry. Refusing to eat can also be a sign of a more serious health problem. Despite the fact that he had been given a clean bill of health by the vet, I was worried that Wise One might be having a relapse of a previous life-threatening illness. I couldn’t shake the nagging feeling that something might be wrong. During these long months, I checked in with Wise One at least once a week. Usually, I asked him the same questions: “Are you feeling alright generally?” and “Are you hungry enough to eat tonight?” I was always told that he was fine and that he wasn’t hungry. Many times I let my rational mind overrule what Wise One told me and I offered him a warmed up rat anyway. But he consistently refused to eat the rats I offered. Finally one night, after several months had passed with Wise One still refusing to eat, I sat down again to ask him if he was hungry. Perhaps to put my mind at ease once and for all, Wise One addressed my concern more directly. As so often happens when I talk with him, what he said opened my mind, not only to seeing the issue at hand more clearly, but also to applying his insight directly to my own life. You despair because I’m not eating, but I am content. I don’t need to eat the way humans do or the way other animals do. It’s not just the food that fills me, but the energy of the food. Rats are noble creatures. They have many good qualities. They have brave and loving hearts. They are very clean and there is a feeling of kinship among them. They are good-natured and likeable creatures and they are very accommodating. There is a sweetness about them that is endearing. When I eat a rat, I take in these qualities as well. Food is energy. I like this quality of energy. Think about the quality of energy that you are taking into your body. Is it who you wish to become? Give thanks for the food you eat, for with it comes divinity. This message was a powerful one for me. I have always recognized and thanked the life force energy in the rats I feed to Wise One, but had not thought all that much about the quality of life force energy I was taking into my own body. I felt malnourished, not just nutritionally, but generally. One of the most valuable lessons I learned from this experience, was the importance of trusting myself and the information I received. For weeks I had despaired that the life of these beautiful rats was being wasted because Wise One refused to eat. Now, before I feed him, I always ask Wise One whether or not he’s hungry enough to eat. Most importantly, I listen to and act on his response. I’m delighted to say that, since I’ve been doing this, not a single rat has been wasted. During the Interspecies Counselor Course at Spring Farm Cares, I did a power animal retrieval journey for one of the students. Her animal was Horse. Since it is important to dance one's power animal immediately after the retrieval, the six students who had volunteered to be part of the process and I began to look around for an appropriate place to dance. Horses in the neighboring pasture called for my attention. I sent them the telepathic message, "Where dance?" They replied, "Follow." As one, they moved out. Our group slipped through the post and rail fence into the field and followed the horses, who went into an area about 20 by 20 feet. They stopped, saying, "Here." We caught up with them. Six humans and four horses were all in the confined area. I felt a sudden concern for the safety of the humans, moving around and dancing their power animals in a space that seemed too small for six humans moving as animals and four moving horses. I remembered that two of the students were very nervous about being around horses and that being in a pasture with horses was a major breakthrough for them. The horses picked up my concern, and immediately moved out of the area and stood to the east of us. I initiated the drumming cadence for the power animal dance, observing mentally to myself that I had not done the salute to the directions that I traditionally do to begin the power animal dance journey. Immediately the horses neighed and excitedly faced east. Then as a group, they moved easily through all of us, making me realize my earlier concern was very unnecessary and very human, and they faced in a westerly direction, neighed and greeted the west. To my joyous amazement and to the amazement of all who witnessed them, they then moved south, and neighed and greeted the south. Then they moved to the hill to the north above us, and neighed magnificently, saluting the north. Then they returned to their first position, raised up on their hind legs, neighing, greeting Father Sky, and then pawed the ground, greeting Mother Earth. Finished, they stood still, watching me intently, feeling the energy of the dance, and listening both to the cadence of the drum and every thought in my head. After about ten minutes, the knowing came, "Now. End." As I registered the message and began my journey-ending cadence, I noticed one horse separate from the others. He moved over to me, carefully and gracefully maneuvering around and through the dancing humans. Gently, he touched his nose to my drum, silencing it. I was driving to my Pilates exercise class. As I made one of the turns I saw two dead animals in the middle of the roadway about a hundred yards away. Coming closer, I realized that the bodies were of a hawk and a dove. 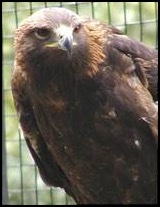 Instant grieving came over me especially when I saw the magnificent size and feathers of the hawk. I had just listened to the speech of the Secretary of State Colin Powell evidencing Iraq’s weapons capabilities. Seeing a dead hawk and dove took hold of my mind, heart and spirit. Returning from the exercise class, I saw that the hawk and the dove were still in the middle of the street. Everyone was carefully driving around them. Oddly enough, there were no crows picking at the bodies. I parked my car at the curb and took a paper shopping bag and a plastic windshield scraper from my trunk. No cars were coming from either direction. Both birds were dead. The dove had a little blood around his neck and the hawk had a broken neck. While the hawk managed to kill the dove, he must have flown into something, breaking his own neck. The hunter and the hunted were both dead, side by side. I placed the birds in the shopping bag and I noted that not a single car came by while I was doing this. I knew what I had to do. As I was driving, the ceremony unfolded in my mind and permeated my entire existence. In the backyard with shovel, chisel and hammer in hand, I started carving a sizable square in the frozen ground. The ground became softer deeper down except when I hit the roots of my nearby walnut tree. I questioned myself about laying a hawk and a dove to rest side by side but I was determined to do it. As I dug deeper, the root of the tree fell right in the center of the grave separating the hawk and the dove. Yet, they were very much together. The gravesite was ready. From my bedroom altar I brought a candle, white sage leaves and essential oil. I lit the candle, placed it in the grave, and then lit the sage leaves saturating the entire grave with smoke. I took the frankincense oil and dropped a few drops on each side of the tree root. I laid the two birds side by side on the ground outside of the grave, circled them with the smoke of the sage, and dropped some frankincense oil on each. Then I asked their permission to take three feathers from each. I took the feathers from their tails. Removing the burning candle, I gently placed them into the grave, side by side. I prayed that they might have peace in eternity, thanking them for this lesson and asking God, the Universe, that they might return as lovers of peace and freedom, that humanity would recognize and know the lesson before the awesome catastrophe looming over Mother Earth and her children. Surprisingly, the burning candle was not blown out by the wind. I took it inside the house and placed it on my altar. While saturating the bird’s feathers with the smoke of sage, I placed them in a small vase next to the candle as a reminder of hawk and dove, war and peace and the emerging of the two as one, as love. I first saw this moving documentary about a Mongolian camel who rejected her large white male newborn a few years ago. I wanted to write a review about it then, but never got to it. I was spurred again to write this review by questions e-mailed to me about the telepathic connection and healing aspects of the movie. The film shows the camel’s difficult delivery, aided by a family of Mongolian shepherds, who make valiant efforts to warm the mother to her child. The family's two young boys travel across the Gobi desert to find a healing musician, who does a profound shamanic ritual with his violin-like instrument. The mother camel visibly weeps (this is a documentary; there are no fake tears) as she releases her trauma and turns in love to accept her baby. Here is the dialog that spurred this review, further elucidating why I loved this movie. Could you please explain something about the film The Story of the Weeping Camel? The mother camel finally accepts her previously rejected baby. What made her change, what made her cry, and how did she become reconciled? Penelope: I saw the film and loved it. I especially loved the shamanic healing aspect. The musician placed his stringed instrument on the mother camel for the instrument to absorb the energy and "story” or images of the trauma she went through at the birth of her baby. When he played the music that came through on his instrument, he played the energy of the incident back to the mother camel. The mother camel was able to view her trauma and release the pain and suffering experienced during the birth of her big baby. Then, with her emotions unfrozen, she was able to bond with her baby for the first time. She rejected her baby because of the birth pain. She couldn't even be near her son because it would turn on the pain that she couldn't release on her own without help from a healer, so she shut down her emotions. That is why she wept as the musician played. She was releasing both the physical pain of the traumatic birth for her and the emotional rejection of her baby. This was truly beautiful and powerful shamanic healing and amazing that people could film this as it happened. Jeanne: I have been reading and re-reading your message, partly because I'm so thrilled you wrote back and am amazed over your comments, and because something you described was opposite of what I thought was happening. Even though I've thought a lot about it, I'm still confused. Did the musician absorb the trauma through the instrument and have it come back out of him through the music, or did his compassion and playing the instrument "reactivate" the impressions absorbed by the instrument? Penelope: Energetic patterns of trauma and experiences are in our energy field around, in, and through our bodies. The musical healer could have "played" the energy of the trauma through music without putting his instrument on the camel. He (or another shaman/healer) could have danced, sung, spoken, toned, or otherwise translated the trauma. His way was to have the instrument absorb the energy and then simply play the music that came forth from the instrument. The instrument and musician translated the sensations of the traumatic birth into sound. The music brought forth the trauma to consciousness for the camel to release. In the musician’s song, the mother camel could hear the energy of what she went through, feel it, see it, and release it. This shamanic sound healing was like telepathic counseling. Besides the music itself, which played the trauma, the musician healer set the tone and assisted the process with his intention for healing to occur. This helped to ready the camel for the good results of her session. I have done similar type of energetic or shamanic healings with humans and non-humans with telepathic counseling, music, dance, and sounds. Jeanne: This is an astonishing and humbling lesson to me. 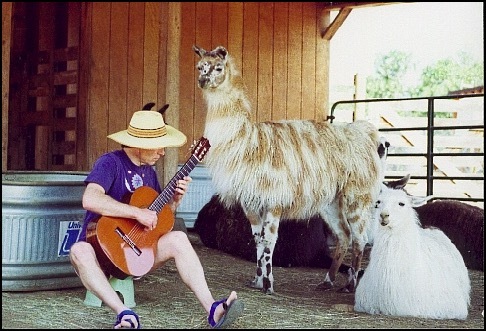 I thought the instrument was put on the camel to impart a sense of calm, of religious blessing and forthcoming catharsis. It's also an example of your wonderful abilities! These Mongolian tribal people showed a touching connection to each other, Nature, and the deep shamanic healing that is possible through their native spirituality. The filmmakers also did a marvelous job of orchestrating this as a narrative without a feeling of intrusion. I relished tuning in to the telepathic communication of the camels and people as I watched the film and feeling the deeper meaning inherent in the action. A lone whale roams the Pacific for over twelve years, singing at an unusual frequency. Who is this whale? What is he communicating? Who is listening? American marine biologists have traced the movements of whales using signals recorded by the U.S. navy to track submarines. 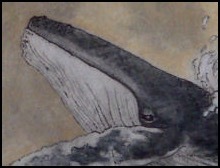 For the past twelve years, they have been aware of a solo whale with a unique song. 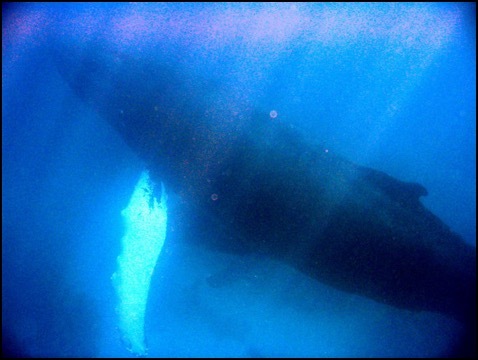 The usual frequency range of whale song is between 15 and 20 hertz. This particular whale vocalizes at a frequency of around 52 hertz. He also does not follow the migration patterns of any other whale species. I perceived this individual as a male blue whale about 38 years old. Stuart Camps (of Fear-No-More Zoo) asked me what this whale was communicating. I asked Stuart to listen to the whale, for the whale was communicating to us all. Stuart felt the whale communicating a genuine sorrow for himself, the Earth, and us all and that the whale’s calling released and attracted protective energies, communicating “acceptance of the great, irrevocable change that is occurring…. The wailing helps to conduct, heal, and make use of the pain of old ways disappearing. It also serves a process of ushering in, invoking, and making way for the strong new energies that carry the potential of great good. The December 26th 9.0 earthquake, centered in the ocean off Sumatra, created walls of waves washing onshore from Asia to Africa. I received a flood of e-mails about the event, including this e-mail message from a person named Swaha Devi, who had heard about my work from a former student. After the Sumatran earthquake, the whales let me know they were aware of the Earth shifting for several weeks. A few days before the earthquake, as the energies intensified, the whales gathered their clans and moved far from shore into deep water. The whales told me that the waters down to 100 feet and near land in the area of the quake were very dangerous, so they moved away. I felt Swaha’s dream communicated that the whales were checking out the danger near the shore, trying to let humans know, and then had to leave. The great whales continued to communicate to me about the changes under the earth and ocean and the ripple effect around the world that was building. They felt the earth and ocean movements acutely but they did not get washed ashore or beaten by them. Other animals of land and sea were aware of the changes as the pressure and movement intensified, and those that could moved to safe places. The lone whale communicating at a high frequency has been calling out for years for all to know that actions toward Earth and ocean have consequences. Evolutionary forces are greater than human individuality and limited thinking. The Earth and oceans move to create new balance in response to the life force in, on, and surrounding the planet. The Mayan elders of Guatemala have issued a call to humanity to pay closer attention to the messages sent forth by Mother Earth in these recent upheavals. They predicted that the recent destruction that manifested in Indonesia will occur rapidly upon five continents. The elders call us to unite in prayer and meditation to prevent the impending destruction and to immediately take the actions needed to restore balance on our planet. They believe that the hurricanes in the U.S. and the earthquake and tsunami in Indonesia have been warnings and we must now pay attention or more efforts by Mother Earth to awaken us will manifest quickly. 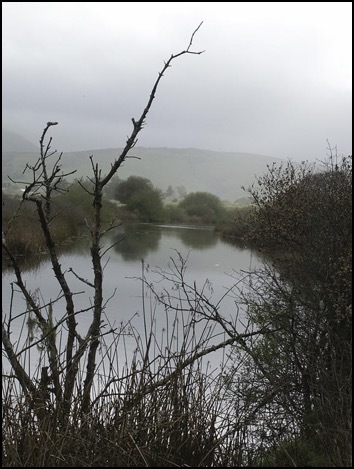 Masaru Emoto author of “The Hidden Messages in Water” warned that the field created in the devastated areas by fear, grief, worry, anger, loneliness, and helplessness could energize harmful microorganisms that prefer this kind of environment. He urged people everywhere to pray for the recovery of the affected area and to send love and thanks to water as a way of preventing water pollution and epidemics. Wildlife experts were surprised at the general absence of dead animals in the flooded areas. At Sri Lanka's biggest wildlife reserve, a habitat for hundreds of wild elephants, leopards, tigers, wild boar, deer, water buffalo, monkeys, smaller mammals, and reptiles, all the animals escaped safely. It was reported that elephants in Sumatra started trumpeting before the tsunami hit, alerting local people to the coming danger. In Thailand, elephants with tourists on their backs suddenly turned and ran away from the beach uphill. Others broke the heavy chains on their legs and stampeded. Some stopped and picked up people with their trunks, depositing them on their backs, before they ran uphill into the jungle, just beyond where the driven waves stopped. Flamingos abandoned their low-lying breeding areas. Bats flew away just before the tsunami struck. Domestic dogs refused to go for their daily run on the beach. Historians in China recalled that, when a strong earthquake struck a densely populated area of northeast China in 1975, multitudes of snakes came out of hibernation, giving the local people a week's notice to flee before the earthquake struck. 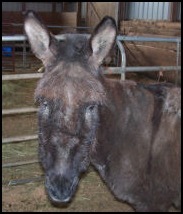 Other animals have exhibited unusual behavior days prior to a tremor. In Florida, scientists noted how 12 hours before Hurricane Charley struck the Gulf Coast last year, 14 electronically tagged black tip sharks off Sarasota bolted into deeper waters. They safely returned after two weeks. None had ever left its home in the four years of monitoring. Animals’ senses tell them when danger is coming. Elephants have been known to lay their trunks on the ground to determine from which direction the stimulus is coming. Some animals are able to detect infrasound frequencies in the range of 1 to 3 hertz, and ultrasound above 20,000 hertz, compared with humans' 100 to 200 hertz range. An earthquake generates infrasound – a long, low wave that travels great distances in the air, under water, and furthest and fastest through the ground. Many animals can hear this type of sound. The knowledge of the movement of wind, sea, and birds helped save the indigenous tribes on the Indian archipelago of Andaman and Nicobar islands from the tsunami. Even westernized humans seem to have some capacity for "feeling" sound that can't be heard. After the waves subsided, it was reported that elephants in Phuket, Thailand came down from the hill, and started picking up children with their trunks and running with them back up the hill. When all the children were taken care of, they helped the adults. Then with handlers atop, they began moving wreckage. Elephants also alerted people to injured people, animals, and their remains. Merritt Clifton tells stories of tsunami animal heroes in the January/February issue of ANIMAL PEOPLE newspaper. Ordinary street dogs in India desperately tried to warn everyone, giving villagers time to flee and take their livestock. One dog pulled a young boy in his family by the collar up a slope away from the waves. Dogs plunged into the receding waves to pull back anyone they could of any species, including humans, cats, goats, wild blackbucks, and other dogs. Some dogs came floating back ashore after up to eight days at sea, and were greeted like surviving firefighters, after having mostly been ignored before the tsunami. Dogs were also employed to search for dead bodies. Some people took great comfort in caring for animals that survived, even when they had lost their children. Near Jakarta, Indonesia, as a woman struggled to save herself and her neighbor’s twin girls in the rushing water, a large snake as long as a telephone pole swam by. The woman and the nine-year-olds clung onto the python until they landed on higher ground where they could wade ashore. A baby hippopotamus was swept down a river into the Indian Ocean, and then was forced back to shore when tsunami waves struck the Kenyan coast. Wildlife rangers took him to an animal facility in the port city of Mombassa. The hippopotamus, who lost his own mother, bonded with a giant male century-old tortoise at the facility. The hippo and tortoise swim, eat, and sleep together. If somebody approaches the tortoise, the hippo becomes aggressive as if protecting his own mother. I asked animal communicators for messages from animals regarding the giant earthquake and tsunamis. Annette Betcher It is my habit to begin and end each day with a meditative prayer. At the end of the meditation I visualize light around the Earth. Sometimes I am shown areas where extra light and healing are needed. I then send those areas bright white light, green light for healing, and pink for universal love. One morning in early December 2004, as I was meditating, I was shown an area of the world I had not been shown before in the vicinity around India. I know better than to question these visualizations so, although curious, I sent light and color to the area I was shown. When I heard the news of the giant tsunami, I knew why I had been shown that area but I had no real conception of the vast devastation that was felt there. I was immediately caught up in the universal feelings of shock and sadness as the pictures began to come in via the media. I continued to bathe the area with white light and color. Around the second day after the tsunami hit, I sent out a telepathic message to the area asking for animals to come forward who were willing to work with me and help me understand how I and they could be of assistance in the healing process. It is my practice when there is a disaster claiming many lives (both animals and humans) to offer assistance to souls who need help going toward the light. The animal that came forward offering to be my guide and volunteering to answer my questions was a lovely Indian elephant. He told me to call him Morri. I asked Morri if he could tell me what the energy was like where he was. I think I expected Morri to tell me that the energy was heavy, negative, and full of sadness and desolation. To my surprise he told me the energy was full of hope, restoration, and reclamation. He went on to explain that with disasters comes change. Morri’s area was in deep trouble before the earthquake and tsunami hit. Negative energy in the form of anger and fear was prevalent in many places. He said that wind and water are cleansing energies. As far as Morri knew, no wild animal was killed in the earthquake. Most all of them ran, flew, or scampered to higher ground. Some of the smaller domestic animals escaped as well. He told me that in the days to come I would witness, via the media, animals and humans working together. Morri said humans will come together to give aid in any way that they can. For a short time, prejudices will disappear, replaced by hope and understanding with humans and animals working together for the common good. After my conversation with Morri, I had a different view of the tsunami devastation. It’s terrible and sad but it’s also a new beginning in many areas. I am so proud of my animal friends and happy I was able to get a first hand report from one of them. A few days later I happened to catch a story on the news. I saw with my own eyes what Morri was talking about. The news broadcast was showing elephants helping humans to remove large amounts of wreckage from a heavily damaged area. Tears of pride filled my eyes as I watched the scene on TV. I wondered, if one of the elephants who I was seeing on my TV screen at that very moment was my new friend, Morri. Yes, I bet it was. I had been wondering if I would live to see the Earth suddenly jump into the higher state that comes about when a certain percentage of the population has reached a higher state of consciousness. I did not ask the fish that question, but it has been in the back of mind for some time. The response I got from them was very surprising to me because I was still very caught up in my feelings of empathy that had been aroused by watching the pictures on TV. I knew the fish were right and I felt strongly that this was not the end, but that there would be more large shifts to come. I did not pursue my conversation with the fish because the doctor came to help me. When I left the office, I found that the fish had greatly eased my distress over the situation. Donna Lozito Our animals have such a clear understanding of how and just what it will take to bring earthly existence into balance. The media and pet owners have taken heed this time to what animals have shown and expressed during and after the tsunami. If this had been ten years ago, the humans might not have taken so seriously what insight the animals have given them. This is such progress for humanity. As one horse pointed out to me, “The earth is reflecting what is brewing in the hearts of man and is unexpressed.” Another cat described, “Before we are brought to balance on this planet much imbalance will occur. This is similar to the effect of real healing where symptoms will get worse before they get better. Maureen Hall On the day of the tsunami, my young stallion who usually wants to be taken out at 5:30 A.M. did not want to go out of his stall or attached corral. When I asked him again, he just went over and started performing trained behaviors in his stall, letting me know that he would work right there and not go out today. One of my parrots that I have had for 35 years became cranky and remained a little “out of sorts.” A dwarf bunny that I had just taken from my son became an attack bunny. I called my son and he said the rabbit had never behaved like that before. The animals were able to feel the shaking of the earth that moved the Earth off its axis by an inch. It shows how much of our sensitivity we humans have lost, as well as so much of our ability to communicate telepathically. We have to practice and study in order to get it back. Karla McCoy For several weeks before the big earthquake, I experienced extremes in both my interactions with the animals and within myself. The day of the tsunamis, I was dizzy and had such a headache that I had to stay in bed. The dizziness remained for several days and intermittently afterwards. I saw changes in animals such as extreme cases of aggravation and anxiety. I was attacked by a friend's dog, who is known to be unpredictable, but has never felt any anxiety towards me. He told me, he was "off balance" and it was painful. At the time, he was also having stomach and back problems. 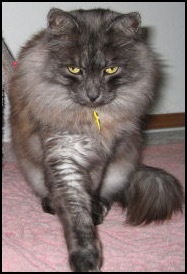 Many animal clients reported feeling uneasy and apprehensive, pacing and being ill tempered. At the veterinary clinic where I work part time, in the weeks after the earthquake, we saw case after case of animals with spinal issues. Not only was my back bothering me, but everyone at the clinic and in my family were having back pain. The constant pressure we are putting on ourselves, the animals and the Earth cannot continue. Something must give. Many of the animals with the spinal issues also began trembling and feeling the vibrations as I did. My dogs and my Pionus parrot trembled as well. This corresponds with the information the animals are sending that there will be more shifting of the Earth. The Earth is vibrating and those of us who are here to help her are feeling her trembling. Yes, there will be devastation, but this is also necessary to bring peace and harmony back to Mother Earth. Our planet needs renewal and readjusting. We must all act as a chiropractor for the Earth and send her energy and love. The animals tell me we will get through this life change. It will not be easy, as with any "dis-ease.” However, if the changes are embraced and recognized, the rewards are astounding. Joan Fox What continuing effects does this devastating event appear to have on our animal companions and each of us? This immense and focused release of Earth's energy was enough to shift Her axis. The accompanying one hundred or more aftershocks of 6.0 and greater continue to take their energetic toll on human and animal realms worldwide. Recently, I have witnessed numerous animal clients who suddenly displayed anomalous behaviors and maladies. Animals who have been model citizens their entire lives are now "acting out" and marking inappropriately. Behavior patterns like licking and chewing of paws, which were released long ago, are now resurfacing. Some animals are biting at humans and animals whom they have known for years. Tragically, there has been a rise in seizures, sometimes resulting in death. Aged animal companions and those with chronic health issues or terminal illness have told me that, due to the energy release created by the earthquake, a "portal" was created for them to swiftly abandon their tired and worn-out bodies. These touching messages reveal that, given their physical condition, they choose to leave their bodies now, feeling that they can be of more help from the other side. 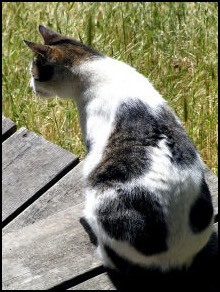 Animals also report that they are seeing spots of "wavy" energy coming up from the earth and on their property. They see their humans bring this energy with them into their homes and, in an effort to protect their beloved friends, the animals attack it. The humans are left to believe that Fido has gone mad and is now biting and attacking everything in sight. 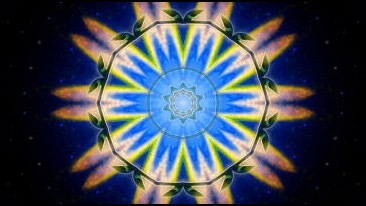 The alarming increase in seizures moved me to check in with the “Band of Angels” who work with me in my healing circles. I was told that the intense electromagnetic shifts have disrupted the grid-work of the planet. In turn, this abrupt shift has affected the meridians in humans and animals, resulting in electrical or "wiring" problems. Some animals have taken on temporary seizures in an attempt to re-align their energy fields with the new grid-work. Sadly, some have taken on too much and have transitioned. "You gave me quite a scare there, dearie! Are you ready to talk about it?" I inquired. Patience replied, "For Pete's sake, can't you FEEL it?" "The ground! It's vibrating! It feels like it will swallow us up! You know, we animals are doing our best to facilitate this erratic energy release. Some of us see it and others feel the effects of it, but all of us are working in some way to balance and transmute it. It is causing tremendous frustration for our human companions because we all appear to be "out of sorts." We are simply trying to help.” Patience explained. “As horrific as recent events have been, can humans not see the silver lining? This one single event has caused the entire planet to come together in Compassion and Oneness for All That Is. And to that end we gladly do our part. We come in service to the Greater Good. Beau, dog friend: “There is a great sadness among animals and people the world over. There is a loss of life, an ending and beginning anew. A great many people passed on and they will also return again, adding a new dimension to this magical place in which we all live. Know this is not the tragedy it appears to be on the surface. There is great meaning behind even the smallest things, such as a smile given freely to another. Imagine what this moment might bring forth in the coming months, years, and centuries to change the way you look at life. Love is a powerful tool which can be brought to life in the midst of chaos, and is often forgotten in the peaceful moments of rest between the storms. This is a moment of great change and a breath of fresh air for a world in need of inhaling the fragrance of change and opening new doors. All is well. Willie, cockatiel friend: “I was surprised at first. I experienced the people passing over and the waves of energy that reverberated around the planet. I was sad so many people died and yet there was great jubilation in their passing. So many people sent prayers of love and healing that the souls were lifted higher and higher, surrounded by much light and love. Some are anxious to return and be alive at this time of great expansion. I can see things changing outside my window. I can feel the sun, moon, and stars all vibrating differently now and how the lines which connect and weave all life together are more finely attuned with each other. Life is a dance and each step can make a difference. I look for the best in each day and smile when the sun comes up again through my window. Trust life is beautiful and all is well. Bimini dolphin friends: “Life is never stagnant. Creation never stops. We felt this quake coming long before it evolved into the physical. There is no feeling from us of negativity from the Earth. Releases caused by energy shifts of this kind through earthquakes, volcanic eruptions, water releasing under high pressure from geysers, and a variety of other actions are necessary for balance. In this case it involved water and that is significant. Water is consciousness. Water is the liquid which fills your bodies. Each body is like a microcosm of the Earth herself. Each cell contains within it the possibility to create an entire new universe. You are connected in ways you do not yet understand. “Consciousness is awakening on many levels. Sometimes this occurs with individuals working on their personal journey of healing or creating more balance and wholeness in their lives. At times a mass event is required to wake people up in order to evolve to a new level. They might be asleep, not paying attention, numbed out in some way, which requires a little knocking at their door. On a deeper level, they have requested this wake up call to recognize the greater Oneness we share with each other and to be aware of the planet as a whole. This was mainly a human-centered event, as animals took shelter, knowing what was going to occur and not desiring to participate at that level. They were helping in other areas. “There are several reasons it occurred at this time. Some involve a natural evolution. Others involve direct human impact disturbing the natural flow and rhythms of life. We liken it to installing a dam in various places, eliminating the natural rivers and streams and creating your own. While eventually things will re-balance to accommodate the changes you have forcibly made, they are not all as balanced vibrationally as what was originally there. The planet is attempting to create more balance as a result of human actions, not in retaliation but merely as a necessary adjustment to maintain balance of the whole." Whale friends: “Life is an evolution of consciousness on many levels in countless different dimensions. What happens here also directly affects the remaining areas. There is no way to isolate your actions from the whole. Thought produces action. Energy and vibration occur with every thought. Thoughts are as alive and real as any tree, rabbit, ocean, and air you breathe. Like energy attracts like energy, as if all the fear on the planet could be molded into a single ball. There would also be a ball of love, anger, resentment, or forgiveness. These energy patterns affect the planet, your weather, and everything which lives and breathes here with you (humans). There really is no separation on any level except perhaps in your mind. Knowledge is passed along between many kinds of beings communicating energetically with each other. Jacquelin Smith conferred with “The Council of Animal Souls” on the earth shifting. “We are acutely aware of all the shifts that are taking place within and around Mother Earth. We understand that these shifts must take place, and we are doing what we can to help sustain the energetic balances of the Earth, along with the many beings of light from other galaxies and realms. Our souls are assisting and helping humans to come to a place of surrender so they can accept the positive shifts and changes in the evolutionary (DNA) process. Penelope: It’s now been several months since the 9.0 quake rocked the Earth. Three weeks before the event, I experienced back muscle spasms for three days, unusual for me and so severe that I spent most of my time confined to bed, accompanied by visions and quantum leaps in spiritual growth. Migraine headaches increased in frequency weeks before and after the event. After December 26th, I experienced the surges, pulses, and pressures of earth and ocean, and the whales showed me what was happening under the surface. Visions of future earth and water waves came in startling detail. Since then, new visions have shown me the effects of millions of people praying for peace and a gentler evolutionary force to help us awaken. These prayers and uplifted intentions appear to have assisted the Earth in releasing the cleansing energy in less “human life disrupting” earthquakes around the world. We are wise to listen to the wisdom of our animal guides from all directions. We are becoming more palpably conscious that we’re all in this together as we tremble and shake, stay grounded and evolve (what a process!) with all of life on our beloved Mother Earth. Thank you, dear friends at Species Link. It is the only magazine I subscribe to and I can't wait from one issue to the other; it is so fascinating. I have taken Penelope's basic course, but unfortunately did not continue studying. Maybe in the next life (I am going to be 90 this year). I haven't read Species Link in a few years. Happily, I have re-subscribed. I want to congratulate you and send you and all the animal communicators and many animals a huge thank you for an amazing article on "Vegetarian or Omnivore." Together you have created a most informative, accepting, gentle and all inclusive look at a very difficult subject. I have always felt comfortable with my choice of what I eat, but, even so, your article took my thoughts and feelings to a much deeper and more profound understanding of why I eat what I eat and its effect on my life and the lives of others. You have done a great service for the planet and we are indebted to all of you. Thank you for taking the time to share your beautiful and profound thoughts with all of us. I will be sending a link to these articles to many people I know. Another wonderful issue of Species Link arrived. As soon as I get Species Link in the mail, I drop everything and read it. I just love it! Thanks for making it all happen. 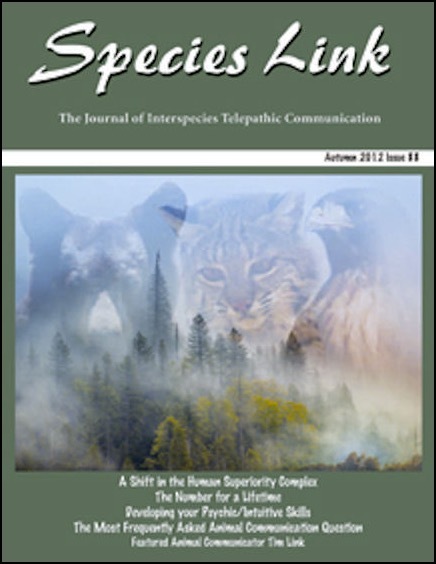 I absolutely devoured the back issues of Species Link, and have passed them on to my local animal communication group. What a wonderful resource! I’m encouraged with each issue. Species Link helps me expand in possibilities. Species Link is an incredible journal. There are always wonderful stories that touch my heart and open my eyes. It's wonderful to be able to read what other animal communicators are learning and experiencing with their communications. Many thanks for continuing to offer us Species Link. 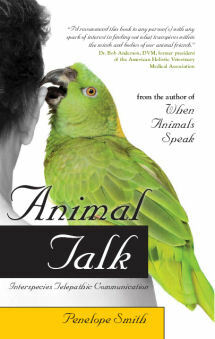 It truly links those who care about animals and those who are interested in animal communication. Note: Penelope Smith, Species Link founder, no longer publishes, edits, or manages Species Link. The last published issue was in 2017. Before subscribing, check with the publisher below if Species Link is still available. Species Link, P.O. Box 774, Hendersonville, NC 28793 U.S.A.
Read true stories of the amazing results of communicating with animals plus prose and poetry transcribed directly from our non-human friends. You'll find tested methods to learn and teach interspecies telepathic communication, books and resources, the latest breakthroughs, questions answered by seasoned communicators, plus readers' stories, poems, art, book reviews, and letters. SPECIES LINK is a forum and network to share experiences, helpful hints, insights, humor, growth along the path, the joy of deep understanding and heightened awareness with all beings. Inspiring articles from many contributors. See sample articles from the archive on this page. Publication began 1990. This is a very touchy subject. I am approaching this issue with much trepidation, but I have to bring it up. I am not an animal communicator, but would like to be, and want very much to believe that it is possible. I have used animal communicators for many years for my own animal family. I am still skeptical, but not because I have been dissatisfied with the results of the consultations I have experienced. My problem is that I find I can't trust in a process practiced by people who believe they are speaking to animals, but have no compunction about raising their fellow beings simply to slaughter and eat them. I know I am not the only vegan outside the animal communicators’ circle who has raised the same question. It seems to me that it would serve the animal communication community well if there were an honest discussion as to why so many communicators can eat an animal that they can talk to. The Species Link community of Animal Communicators wrote many lengthy, articulate, and thoughtful replies to this month’s Voice of Experience question. For many, it was a welcome chance to re-explore their belief systems and decisions related to being either a vegetarian or an omnivore. Each one of us has her own path to follow; own lessons and karma. And, as Carolyn Myss refers to it, our “sacred contracts,” agreements made with others before we take birth. Most importantly, every individual lives his or her own truth. We can’t judge what others do. We don’t know what is right for them, or what contracts they have made, and for what purpose they have made them. My colleagues tell me that animals have given consent to be consumed and that by consuming them there is an energy exchange. True, every being that is alive depends on another being for survival. Yet who among us wants to die? We all fight for life. Every being wants to be free of suffering. Not eating animals who are unnecessarily tortured and brutally slaughtered against their will does not free us from a karma-free diet. If we want to get picky, slaughtered animals are in everything we consume and use. Rendered in the food we feed our companions, in homeopathy and Chinese herbs, medications and chemicals tested on innocent laboratory animals. Even refined sugar is processed using animal bones. The list goes on. We all have blood on us. It’s impossible not to. Like everyone else, I live my truth, and have chosen to live a vegan lifestyle. I use the word “lifestyle,” because being vegan is a practice of ahimsa, or nonviolence. It was not easy to stop eating meat in a world that socially accepts it. I became “vegetarian” in 1978; the word is in quotation marks, because during the early years I still ate fish. At the time, not eating meat had nothing to do with health or animals. It had to do with being anorexic in a ballet company and having little money for groceries. I lived on granola, yogurt, peanut butter, lettuce, beer, drugs, and cigarettes. After three years I could no longer get red meat down. I tried and tried for one whole year. It tasted like the smell of an animal’s wet fur, if you can imagine that. I stopped chicken in 1989 for the same reason. Then I started my Zen practice in 1994 and took Buddhist vows; no killing or creating suffering for others. I then stopped fish, dairy, cheese, and eggs. I love cheese and fish, but watching PETA’s “Meet Your Meat” and a more comprehensive documentary on YouTube, entitled “Earthlings,” strengthened my commitment. I stopped wearing leather, wool, silk, and no longer use honey. I buy only “cruelty free” cosmetics and household cleaners, eat only dark chocolate and burn soy candles. Being vegan is a privilege! Choice is a luxury. I don’t have to kill a chicken to feed my family. I can make a spirulina smoothie in my Vita Mix. Meanwhile my environmental friends are down on me for buying faux leather (plastic) shoes. I purchase, when possible, American-made, man-made materials and buy only what I absolutely need. What I don’t understand is the hierarchy in the food chain. A wildlife sanctuary that rescues tigers, lions, and chimps hosts a gala celebrity fundraiser and serves the “lower animals” for dinner. Wearing leather, they protest the wearing of fur. We are horrified that cats and dogs are raised for food and skinned alive for fur in some parts of China and Korea, yet we do the same here to intelligent chickens, pigs, and cows. Why don’t we slaughter horses and dolphins for their flesh? Eagles instead of duck? Eat our pets? Who decides whose life is more important? All beings deserve a decent life, not just some, and not just us. I no longer force my lifestyle on others, nor deprive my cats of a diet that they are designed to eat. They are true carnivores, with razor teeth for ripping, strong stomach acid for digesting meat and short digestive tracks for eliminating it. I feed them raw meat, shipped from New Zealand where animals at least roam free. We all have blood on us, and we do what we have to do. Kumari Mullin For spiritual, health, and animal rights reasons I have personally struggled with this issue for over thirty years. Mostly I have been vegetarian, and then fish only and back to occasional meat-eating. It’s funny how things happen. After more than twelve years of strict vegetarianism, I was cooking for my dog as I always did and the smell of meat overcame me. I ate some of the chicken, deciding I wanted to hide the transgression and not tell a soul. The very next day, I received a frantic call from a long-time client, who was sobbing. Without explanation, she asked me point blank “Do you eat meat?” I was amazed. I thought, is there a hidden camera in here or something? Twelve years “clean” and the first time I taste meat I am instantly “outed.” My mind was racing how to answer, as I was not feeling very proud of myself at that moment. I asked my client why she wanted to know. She said she was at dinner (ordering steak) with a woman who raved about how no one who eats meat could love animals and certainly, no real animal communicator could be anything but vegetarian or vegan. “Do you think this is true?” she sniffled, clearly hurt and confused by the exchange. So I shared my journey, leaving out any judgments about what was right or wrong. I even confessed my previous day’s weakness. The teaching was as much for me to not judge myself so harshly and to see how we sometimes use these “black and white” issues to cause unnecessary pain and suffering to one being, even as we espouse a compassionate agenda for another being (the animals, for example). As the years go by, I have less and less judgment and opinion, thank God, and more and more wonder and awe at life and all of its dilemma and appearances. I thought about this a great deal and about all my judgments about meat-eating. I began to see that there may be a bigger picture than what I had considered. I felt guided to order chicken for lunch that day and immediately felt better, and stopped getting bronchitis. It felt totally right in that moment, though I continued to be a vegetarian for many years, but without quite so much righteousness. It helped me to stop judging things from my own small ego perspective, and allowed me to see that there may be a grand design here that I still did not totally understand. Years later, the issue came up again with a Native American shaman. He related an amazing story: He had also been starving (for real) and entered a sweat lodge to pray for guidance and support. After several days, he heard something moving around outside in the woods, and when he left the tent to check on it, he found a large moose standing there facing him calmly with his neck stretched out. Then the shaman stopped speaking. I had to ask him, “So what did you do?” He said, “I ate it of course. It was presenting itself as an offering and an answer to my prayers. 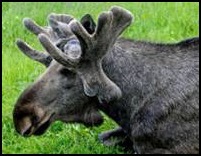 The moose never moved when I cut its throat.” A bit shaken by the imagery, I immediately thought of my dream. I do not care what is done with the flesh after I am gone. It is not who I am. In fact, I would be honored if the skin served you in your meditations; it is a very holy use indeed, and I am grateful to be of service in that way. In a somewhat related incident, my dog Suki surprised a squirrel only two feet away on a log, and they both froze, just staring at each other. It was my great luck to be right in the middle of them. 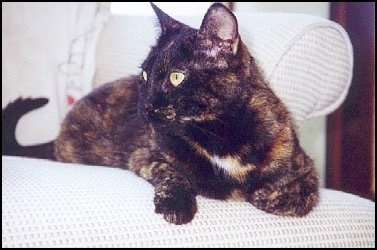 Suki loved to chase squirrels, and on occasion, though I did not approve, Suki had killed a squirrel or two. I expected an intense hungry predator kind of feeling from my dog and a fearful prey feeling from the squirrel. What I actually felt was shockingly different. I felt unbelievable waves of love flowing from Suki and the squirrel, along with great respect, curiosity, and awe that they were able to be so close and observe each other without moving. It was truly remarkable, like they had a great reverence for all the fun they provided each other. I got totally high with the warm loving vibrations. Nedda Wittels I eat meat and I don’t have a problem with doing so. When I speak with my Higher Guidance about this issue, I am told that at the vibrational level where the Earth, humanity, and animals are living right now, consumption of animal flesh is necessary for the physical good health of most humans and, indeed, all carnivorous species. Because we are all living in “duality,” the concept of predator and prey is, by definition, a normal, natural, and even necessary part of our existence. There are certain animal species that require meat to survive, and humans, to be truly healthy, are one of those, with a very few exceptions. I have been told by Higher Guidance that each being takes form to do service for others. The beings who choose to come to the Earth in this service are to be honored, respected, and thanked. When we express gratitude for their service to us, we are providing an appropriate energy exchange that helps keep the balance of Nature that duality requires for universal well-being in this dimension. Sage Lewis Having been a vegetarian for the past eighteen years, I'm sensitive to this topic and appreciate the platform to share. Long before I started my work with animals, I became a vegetarian. My greyhound, Gabby, made me do it. As I watched her run in a huge field 18 1/2 years ago, I smelled hamburgers and brats grilling nearby. Looking back at Gabby, the scent became a reminder that she was “moving” meat. For me, it was a very conscious decision to stop eating red meat immediately, and I never looked back. I also felt incredibly balanced from making a simple shift in my diet. About a year later I stopped eating chicken, turkey, and fish as well, going through the process slowly to see how my body would react. I have been blessed with a blood type and body chemistry that has done well without hardly any animal products and at the same time, my spiritual practice has reminded me to listen to what my body is asking for in order to be balanced. For two months, I cut out all dairy products and I didn't do well. When my lean body started craving cheese, I listened. As I age, I am noticing a slight craving for fish and eggs and I'm feeling challenged about what to do. I'm clear that if I make another shift in my diet, I will do it with the utmost respect and consciousness. What my spiritual practice has taught me is that we're all connected. Plants, animals, trees, humans, rocks—we're all on the same level; there is no hierarchy. If I could stop killing plants, I would, but for now, the best I can do is to make a conscious choice about everything that I put in my body so that I can be as physically, mentally, emotionally, and spiritually balanced as possible. Griffin Kanter When I started communicating with animals in the 80’s, I made the choice to eat meat. My choice was based on my body’s needs and I continue to eat meat. My belief, as is the foundation for books such as Eat Right for Your Blood Type, is that certain people can be vegetarian and be healthy and others can’t. Another aspect of my choice is that animals do not come into physical form as victims. Each animal is on its own spiritual path and chooses different life experiences to accomplish his/her goals or purpose. Animals, on the whole, can choose when to leave the body during the death experience. Having talked with plants, fish, amphibians, reptiles, and insects, I don’t think the only way I can honor a life form that I have talked with is to refrain from eating it. I came into the world in a physical body and I have to feed and maintain this body until I die. I choose to honor all life forms that I eat daily, including plants and animals, by saying a prayer to thank them for their life-giving energy. It’s good that we’re seeing more humane regulation in the treatment of animals to be slaughtered. My hope is that one day those industries will function from the space of compassion and gratitude. April Prager This is a very personal decision for people. I was a vegetarian for ten years when I was younger and I have always talked to animals. It’s extremely important to get enough protein as a vegetarian, and I happen to have a very delicate constitution. In the 1980's I had a lot of health problems and I found an acupuncturist to help me, and that led me to a study of Chinese medicine. The acupuncturist told me I really needed to eat some animal protein to get well. I was resistant, but finally tried to add a little to my diet and it was extremely helpful, greatly improving my health. I also worked for an acupuncture clinic, helping to treat many vegetarians. Some did okay without meat and others never got well. They looked very pale and gaunt and much older than they were. Because of my great love for animals, this has been an emotional process evolving over the years. Sometimes I am comfortable with my decision to eat meat and other times I am not. I eat a very small amount of animal protein and am still 75% vegetarian. I am grateful for the animals’ help with my health and give thanks. I work with this all the time and offer my support, education, and compassion to anyone considering either lifestyle. Lisa Shaw I had three dreams years ago in which pigs (I love pigs!) came to me and said, “Please don't eat us.” The third time I had this dream, I got serious and have not eaten pork. A few months ago I gave up beef. I've tried vegetarianism three times in my life, the longest period being six months, and suffered some health issues. In the next phase I will slowly remove birds from my diet. However, I am deathly allergic to soy and have anaphylactic reactions to any soy protein. I have the hospital bills to prove it! For some of us, vegetarianism is not an option, despite our highest intentions. The Universe is full of irony, and the earthly contradictions presented to us provide us with the challenges we came here as human beings to confront. Jenny Shone When someone asks me why I don’t eat meat I reply, “I won’t eat anything that I can talk to.” So in answer to the question, I am an animal communicator who doesn't eat meat of any kind. Diane O'Callahan For the past twenty years, I have been involved in animal welfare: working at a zoo and at the SPCA as a Humane Education Director. In addition, I own a pet sitting service and have a practice as an Animal Communicator. In my experience in each of these venues, I was unable to eat animals because I was taking care of them: Silkie chickens, fish, big cats, and birds. While at the SPCA, I conducted presentations about the factory farming industry that exposed animals to extremely cruel living environments and harsh slaughter on a daily basis. Thinking about their tortured lives and the level of adrenaline in their systems, I decided not to eat any animals for their welfare as well as my own. During my research at that time, I read that wild animals sense whether we are vegetarians or not and tend to welcome us more readily in communion when we are not eating animals. As time went on, I left the SPCA, and I started to feel unwell and happened to attend a lecture focusing on certain blood types that needed to eat animals. 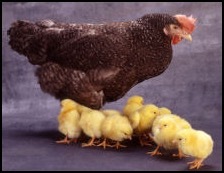 I began eating only animals certified as having a free-range lifestyle, like chicken and fish. At each meal I thanked the animals for their sacrifice on my behalf but never felt good about eating them. I felt sad during every bite, although I felt better physically. Morally, ethically, and emotionally, I was conflicted about the decision to eat chicken and fish again. As I continued to read and think about this dilemma, I found material to justify either side. I am not in agreement with eating animals and know that their slaughter does not promote the harmony that we all seek in the world today. I made a heart decision to once again not consume animals and this has helped me to feel more peaceful and connected me to animals in a much deeper way. For me, it was not a health-body decision, but a heart decision. Elizabeth Anglin To answer this wonderful question, I would like to relate a very poignant experience I enjoyed while teaching and mentoring another Reiki Master who is a vegan. While I am no longer a vegan nor an ovo-lacto vegetarian (due to severe health problems related to starch, gluten, grain allergy, and sugar metabolism) both my student and I have similar interests in Esoteric Tibetan and Zen Buddhism, where the teachings encourage us to consciously generate the energy of compassion for all beings and to avoid killing them. In Esoteric Buddhism, it is suggested that practicing a selective form of vegetarianism will help most students achieve a clear “diamond-like” consciousness necessary for healing oneself and others, to have conscious realizations, and eventually attain the state of enlightenment. However, Esoteric Buddhist (unlike Exoteric Buddhist) teachings also state that practicing a strict vegetarian diet is not a rule for purifying consciousness or for generating and maintaining the energy of compassion. There are esoteric meditation, mantra, and mudra practices that can be performed to help purify any negative karma gained from eating meat (or other negative actions) and help one attain enlightenment in this lifetime. In my experience, the ability to perform animal communication depends upon a clear form of consciousness that is most easily achieved through practice of these esoteric means, as well as through maintaining my health. The information I most want to share with you, however, comes directly from an animal communication regarding humans, meat-eating, vegetarianism, veganism, and cats. My vegan student wanted very much to have a cat and felt one was waiting in spirit to come to her, but her partner insisted that he would only accept a cat in his home if they strictly fed it a vegan diet. Even though my student was committed to her personal path of veganism, she felt a cat had a chance of eventually becoming ill or unhappy on a vegan diet, and that it would be cruel to get a cat that might not be allowed to be thoroughly healthy and well. She asked me to check to see if there was a cat in spirit waiting for her, and if there was such a cat, did it have an opinion on the subject of her partner insisting that it be fed a vegan diet? Yes, you are correct. While I would survive for some time on a vegan diet, I would feel a lack of energy and vitality and ultimately I would succumb to more lethargy than necessary. I prefer not to be made a vegan cat, but I still want to be your cat! Please tell your partner, we cats are never going to become vegetarians or vegans. But all human beings will! All human beings are in the process of evolving into vegetarians and vegans, but some are still struggling with bodies and food desires that are adapted for the ice ages and hunting and gathering. Not everyone is evolving at the same rate. Vegans and vegetarians are evolving faster, and the ones you see now are on the leading edge of this evolution. Everyone else will catch up within the next two centuries. And we cats will have an important role to play in this new world of vegetarian humans! The cat’s picture then shifted, and I found my consciousness merged with a woman walking with a male companion into a corn field at twilight. The field was full of beautiful butterflies and moths that flew up and around us as we entered the field. The cat was at my feet, where he rubbed up against my leg before dashing off into the corn field with many other cats to hunt mice. My consciousness then lifted out of the woman and moved over the field and the land, where there were many fields, with countless butterflies and beneficial insects and numerous happy, hunting cats running up and down the rows of corn. The scene was beautiful and stunning. It reminded my student and me that we will always live within an ecosystem on this planet and we will always benefit from the balance of life being maintained by predators hunting and eating prey. Increasing and promoting biodiversity while creating human food production systems that work with our fellow beings along with their roles within healthy ecosystems is the goal we should be striving for and that we will ultimately attain. If we cannot be accepting, compassionate, and nurturing of the roles and spirits of predator and prey animals in hunting and being hunted as they are designed to do within a balanced ecosystem, than we cannot become any more “conscious” than the short sighted over-controlling human beings who have so far created environmental chaos and mass extinction. If the leading edge of the vegan/vegetarian evolution does not choose to understand and accept that their personal diet is an evolutionary path of mankind, and that others are in different stages along this path, then they may feel needless anger and frustration with their fellow humans, as well as with their fellow predator animals. Do not worry about where other people are on the path right now. Everyone will get there. Everything is going to work out beautifully. Suzan Vaughn As I continue to evolve, I notice that what I choose to eat is now over 90% vegetarian. Although I still enjoy the occasional fish or fowl, red meat has lost its appeal for me and living with a vegetarian husband helps to turn my focus toward living foods. When I do partake of a chicken salad prepared by a friend or some other food that includes animals, my goal is to stay fully conscious and grateful for the gift while moving toward the healthful lifestyle that best serves my personal nutritional needs. I embrace my vitality and ask my body what it needs in the moment to give it the best nourishment possible. Charmaine LaBold As an animal communicator and a vegetarian (formerly vegan for five years) Jean's question has been an issue I've struggled with and the reason why I lived for five years as a vegan. My short response is ALL things are made of energy—plants and animals alike. If we don’t nourish our physical bodies by consuming animals or plants how do we continue to physically live the blessed gift of life in our bodies? Years ago, I was weeding out the flowerbed and a cluster of wise weeds helped me come to terms with my sadness at ending their lives. I felt an overwhelming sense of sadness and found myself sitting in the middle of the flowerbed in tears. A feeling of calm began to build from within, and I knew that the weeds were reaching out to me with a special message. As I welcomed this feeling/knowing, my understanding became more clear. These lovely weeds helped me understand that their purpose in the short time they were rooted in my flower bed was to connect with me, bringing me a better understanding of plant life. As I shop at the market, select my purchases and prepare meals, I make an effort to remember the beauty of the food in its natural state, remaining respectful and grateful for the nourishment provided by the plant's or animal's contribution. Joanna Seere The longer I work with animals, and the more I learn about and witness the lives and deaths of animals used for food, the clearer it has become to me that I can ethically make no choice other than to become vegan. 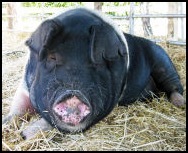 I have worked with many farm animals rescued from slaughter houses and pens, witnessing their terrible suffering and assisted them in their fight to regain their lives. I have supported them in releasing the trauma that they carried, sat with them in their pain and held them in their healing. I have listened to the stories of their suffering and of the suffering of their brothers and sisters. I have witnessed their rebirths into joyous lives and prayed at the times of their deaths. The plight of animals in the food industry has touched me deeply. I am moved by their unbridled desire to live in joy and peace and their ability to forgive, open their hearts, and trust humans again. Each life and each soul of the ten billion animals slaughtered each year matters to me. I dedicate my choice of being vegan to the lives and souls of all these animals. Shirley Scott Would you judge the lion who eats the zebra? The cat that eats the mouse or bird? The wolf that hunts and eats the rabbit? Do we condemn the dolphins for eating tons of smaller fish? The animal kingdom is one of eat or be eaten. We share at least 85% of our DNA with the rest of the animal kingdom, so why is everyone surprised when we act like them in many ways? DNA is a large ruling factor in any life form from living to dying, from eating to communicating. Denise Schultz There are so many ways to look at this, and most of them are complex and not black and white. My cat Sarva eats animals, both those she kills and those in her prepared food, and yet I am willing to talk to her and her to me. She is not going to change, has no shame, no blame, no guilt, nor should I judge her. Several months ago, my cat Elsa was eaten, most likely by a bear. That bear is not going to change, and although I would be honored to talk to him, I am currently not open-hearted enough. I’m just too heart-broken to reach out for that information, but I hold a prayer that someday I will be able to overcome that. Many animals I admire live by eating living beings, like dolphins eating fish. I don’t set myself outside the realm of all these “killers and meat eaters.” The pain that we feel over others who have a different world view than we do, like the bear who ate my cat, can be overwhelming and appear to separate us. Yet animal communication can connect and educate us, no matter where we are along this spectrum. Thomas Cheng The human body is designed to eat lots of vegetables and some meat. Eating meat is natural and essential to the nutrition of the human body. A lion can talk to a sheep and the lion still eats the sheep because it is designed by the Creator that way. When hunted, the spirit of the sheep quickly leaves the body and reincarnates when it is appropriate. Morgine Jurdan Nature and animals explain to me that we are all a part of some magical kind of Oneness. Even scientists are now agreeing everything is an extension of one Source Energy. If you take a hair from your head and drop it on the ground, it will eventually compost into soil. Let us say a worm eats that soil and it becomes part of the worm. The worm is eaten by a bird who lives in an apple tree, its excrement becoming part of the tree. The tree grows apples and you eat them and they become part of your body. So hair cells became worm cells, became bird cells and tree cells, and apple cells and human cells once again! Some scientists now tell us we could recreate the entire universe from one cell of anything, because that cell has been everything at one time or another! Neither animals nor plants mind becoming part of our bodies. In fact it is a great joy to do so and see out through new eyes. It is simply a part of the magic. Mary J. Getten This is a planet where everyone eats everyone else. That's just how it works here, and animals are very in tune with the natural order of things. Animals understand and don’t judge creatures by what they eat. All animals can communicate with each other, yet they also eat each other. They don't have a problem with this. Coyotes can certainly talk to cats, and lions to gazelles, but they eat them nonetheless. There is an agreement in the natural world that some animals are predators and some are prey. The animals all understand that. Humans are also animals and part of this relationship, generally as predators, but occasionally we can become prey, too. Betty Lewis I think it's safe to say that no animal communicator endorses animal abuse. However, in Nature, everyone eats someone else, be that plant or animal. Karen Booream Let me start by saying that trees and plants are some of my closest friends, wisest teachers, and deepest relationships. The main reason I no longer do consultations full time is because of people’s judgments and expectations about me once they found I was an animal communicator. Death is a part of life. There is a world of difference between an animal suffering needlessly and an animal dying to feed another. When I die, I have often said that I wish they’d lay me out where vultures could pick at my body, worms and microorganisms could dissolve my flesh down to the bones, and mice could gnaw the calcium from my skeleton. Every time a person breathes in, the body’s immune system is killing thousands of microorganisms in the air. I realized a long time ago that if I were going to stop eating creatures I communicated with, I’d starve quickly. I can’t avoid the fact as a scientist, that every human being is killing living organisms every time they wash their hands, weed their garden, or take an antibiotic. Maureen Harmonay There are many top-notch animal communicators who eat meat, and I honor each person’s choice in this regard. For me, the decision not to eat the meat of certain animals has evolved over time, starting about fifteen years ago when I lived in a rented home on a farm that raised lambs, sheep, and goats. I loved being in such close proximity to these wonderful animals, and in particular, watching the goofy antics of the lambs, but then found myself utterly devastated when the lambs were shipped off to slaughter each fall. From then on, I never ate another bite of lamb. My eventual choice to forego the meat of all four-legged animals pre-dated becoming a professional animal communicator. I believe that this choice has enhanced my ability to connect with all animals on a spiritual level. Until last year, I continued to eat poultry, but on Thanksgiving Day 2007, I stopped eating turkey, and just recently, I’ve stopped eating chicken as well. I believe that my decision was divinely guided and it feels like the right thing to do. While I have acted out of my strong convictions, I would not dream of inflicting my own beliefs on anyone else who doesn’t feel the same way, nor do I think that others who continue to eat meat are worthy of derision. I have felt uncomfortable at times when I have encountered vegans who seem to consider themselves morally superior to those of us who haven’t completely embraced their point of view. For that reason, I am always hesitant to share my own eating preferences with others who eat meat without any ethical misgivings. Mary J. Getten In my years of work, I have helped thousands of animals and never once have they asked me what I eat. They are not concerned about our dietary habits. This has been true for the cows, chickens, sheep and pigs that I've talked with as well as domestic animals. Betty Lewis To achieve my own balance and to respect the plants and animals who nourish me, I seek sources where humane treatment is employed and I give thanks to those who work with me towards this end. Mary J. Getten You can communicate with anything, since everything has consciousness. I also communicate with nature and plants. If I couldn't eat something that I could talk to, there would be nothing for me to eat! Thank the carrots and beans for the nutrients they give you. Plants have feelings, too. Karen Booream Some of my deepest, wisest and most joyful conversations have been with plants in my garden and especially the tree beings. I could cry thinking about these conversations with the sheer wonder of it. It is most painful for me to see living healthy trees cut down. It is also taking a life every time we bite into a carrot or harvest a soybean. Now I try to work with the trees and people involved as best I can. This is my way of sharing my abilities as a communicator to help those I love. Karen Craft I've truly struggled over whether to respond to this question. To me, this is a deeply personal issue, plus I know the kinds of firestorms that swirl around it. All right, I admit it: I'm an omnivore. Though I eat more vegetarian meals, and more fish and fowl than red meat, my body still works best when I include some meat in my diet. Sometimes, not even root veggies can ground me better than a meal with meat in it. And let's be really honest—I deeply enjoy the taste of meat. Of course I agree that meat production practices are in direst need of reform. I try to purchase locally produced, organic foods whenever possible. I can commune and converse with vegetables just as easily as with animals, so if the argument is “How can you eat something with which you can talk?” I'd be well on the way to starvation. I'm nowhere near being a Breatharian! Leta Worthington For those who find eating meat completely despicable and untenable, I would pose the following: If you’re practicing animal communication, either formally or informally, chances are that you’ve had a chance to communicate with the plant kingdom as well. If so, and if you’ve worked with that kingdom in gardening, making herbal essences or flower remedies, or more, then you must be well aware of what a highly advanced kingdom it is. In my own personal experience, which has included many years of working with flowers and plants, it is the most highly evolved kingdom on our planet at this time, with the highest vibration level. It has been proven and documented that plants respond and react intensely to their environment, music, prayer, and words. They exhibit what we would call pain when treated poorly or carelessly trimmed. Yet no one seems to argue that plants should not be eaten, or that it is cruel, inhumane, and immoral. Anita Curtis I believe that we all come into this lifetime with a purpose. Many of the animals come with the purpose of nurturing others, either humans or other animals. In some cases they have chosen to nurture by providing their bodies as food. They live a short life here and then return to the place that is perfect, knowing they have done the work they chose to do. I do not eat red meat, so I do not believe this in order to make excuses for my dietary choices. I have spoken to flowers and vegetables who I know are intelligent, but I choose to eat them to nourish my body. Is that any different than eating meat? Betty Lewis Some people do not thrive on a diet of total plant material. The evolution of certain peoples’ heritage gears their metabolisms to eat in a certain way. Plants are people, too, in a way, so eating them isn't any more or less ethical than eating animals. Nedda Wittels Everything that exists has consciousness or spirit. I might ask how anyone can eat vegetables when it is so clear that harvesting them kills them, and eating fruit and nuts is like stealing and eating the children of plants. Have you ever had a conversation with a tree or other plant? They are as conscious as the animals. By the same logic that some reject eating meat, one might consider eating plants to be just as cruel and hurtful to plant beings. Lisa Fraser Shortly after I learned I could talk with animals I went with a friend to decorate some live trees for Christmas. I decorated the shortest one and it thanked me. I wasn’t sure this was possible. So I asked my mentor who told me that yes, in fact trees are great to chat with. Since then, I have found that I’ve had long discussions with vegetables, fruits, rocks, mountains, or anything with spirit. Some of my most powerful learning experiences have come from things without a face. So what would the writer of this question have me eat? Barbara Molloy If you believe that you can communicate with anything in nature, which I do, then you accept that we are all sentient beings; not just those that have eyes and a face. So even if you are a vegan, you are responsible for destroying and slaughtering, if you will, plants and trees. What if you step on a bug? In Nature, we are all one. There is no us and them; it's all us. Teresa Wagner I became a vegetarian because of the great love of a whale who spoke to me about this issue in 1988. He helped me see that to be whole, I must love all species, and cannot knowingly act in ways that create harm for any of them. I have learned from him that for me to love some species and harm others is damaging to my heart and soul. Since then, I have found that I can't be aware of the suffering of an animal, or a group of animals, turn my back to this suffering, and remain at peace. If I participate in harming animals, it harms me too. This includes what I eat. I ate what my culture taught me was appropriate, acceptable, and expected without thought. Everything changed when I saw my first whale. I was on a weekend jaunt with a friend just to have a few days away. The whale watch trip was an incidental activity (or so I thought) of the weekend. I had no great interest in whales before that day, and knew nothing about them. But when I saw the one who came right to our boat and stayed, I immediately knew I was in the presence of family and a wise elder. Thank you for loving us. Thank you for opening your heart to us. And as you go home to your land life, we'd like you to think about how you now love us so much, love your cats so much, but still put our cousins the cows, chickens, pigs, and fish in your belly when you don't need them to survive. You wear our cousin the fox on your back when it’s unnecessary for staying warm. Still ever so gently, he said, We just want you to think about it. We love you and will be here for you always. You can call on us. That was that. The meat, the coat, and the poisons were gone from my life the next week. For me, the whales were my push into remembering author Machelle Small Wright’s book title that the God in all life matters. From the beautiful small Japanese beetles to the great large whales, they’ve helped me remember that all life is sacred. Jeri Ryan I became a vegan for ethical reasons long before I became an animal communicator. I was totally new to the Animal Rights movement and I was introduced to it through Peter Singer’s book, “Animal Liberation.” It took only the introduction to wake me up. I had been a rare tenderloin steak and steak tartar person. It was in the introduction to his book where he laid out in brief all the atrocities that were happening to the animals at that time. That chapter changed my life overnight before I even read the rest of the book. There is a point when the truth is so blatant that it can no longer be denied, and I could no longer deny the harm I was causing. To the best of my ability, I discarded all animal products and anything that represented exploitation of animals from my life. Keeping abreast of the atrocities is very difficult and very painful. How often have you heard, “I can’t hear about the cruel way animals are slaughtered?” “I don’t want to know about those cruel laboratory experiments with animals. It’s too painful?” It is very, very painful. Yet, the very least we can do for the animals is to know and suffer the awareness of the atrocities they suffer at the knowledge and hands of the self-defined most intelligent animals: humans. Our suffering at that painful awareness pales by comparison. I have been doing animal communication professionally for over twenty years, and my vegan life style has never changed. However, in those early years, even though I had initially stopped eating meat in the most common form, and I had avoided the use of animal products, I still ate seafood. I clearly did not have my personal and spiritual philosophy together at all. I had not completely emerged from my denial. One day while driving in San Francisco through a busy commercial neighborhood, I witnessed a delivery person throwing live crabs into a huge bin. It didn’t matter that they landed upside down, sideways, piled on top of each other in distorted and uncomfortable ways. Their claws were bound shut. They could not defend or even put themselves upright. I never ate seafood or fresh water fish again. I became a vegan because I had discovered that all life is sentient in some way. Acknowledging and protecting the sentience of other living beings is a very good reason for going vegan. One needs no more than that to live within a valid, ethical, compassionate vegan lifestyle. Doing no harm to other living beings by refraining from eating them was indeed enough to sustain my veganism. I needed no more. I had not yet gone any deeper. I didn’t even think of going any deeper. I was satisfied to know that I was honoring and protecting sentient beings. It all fell into place when I sat on the floor across from a dog I had rescued, waiting to take him to his adoptive home. Those few moments with Simon took me somewhere I least expected to go. As I sat there, I looked into his eyes and suddenly gasped in recognition. In my mind I said, “There’s a soul in there.” He heard me telepathically. He came to me immediately and put his head on my shoulder. After that I began to recognize the soul in every being, including cows, chickens, fish, reptiles, and insects. It didn’t take much at all to know that anymore. Veganism had finally taken on a spiritual and existential meaning for me. That revelation of the life force or soul present in every living being brought in equality and reverence in the highest sense. While honoring the sentience of animal beings is a very good reason for being vegan, a consciousness of the soul or life force in other animals takes it to a spiritual level. I was happily (and healthily, by the way) settled. That was more than thirty years ago. Nancy Windheart Ironically, for me, becoming an animal communicator coincided with shifting away from my previous vegan lifestyle. I have had my own deep journey with this question, and perhaps the understandings I have reached with the help of the animals may be helpful for others who are struggling with this issue. I remember asking the very same question as Jean when I first started my formal animal communication training several years ago. At that time, I had spent many years working in animal rescue and advocacy, and had volunteered for organizations with strict vegan codes of ethics. I became a vegetarian in my early 20’s, and in my 30’s, adopted a vegan diet. When I began my animal communication coursework, I remember being quite surprised that there were animal communicators who were not vegetarian. I am thankful that many of my colleagues and teachers were willing to have honest conversations with me about this issue, and I came to a greater understanding of the variety of views and determining factors that go into personal lifestyle choices. By far my greatest educational conversations, however, were with the animals. When I started really listening to what the animals had to say, and put aside my own ideas and agendas about what their lives should be like or were like, my perspective changed, and I realized that my sometimes judgmental and self-righteous ideas were not shared by the animals. I learned through listening to the animals that they incarnate into food animal bodies for many reasons. Some really appreciate being able to nourish others with their bodies, and know that they can return after their deaths to another type of body and life experience if they choose. Some choose a food animal experience because of karmic issues they are working out, or a desire to have a particular type of life experience. The reasons for these choices were varied and individual. I learned that many animals have a very pragmatic sense of life and death, and that being prey, losing their body so that another may have sustenance, is often not a big deal to them. I also learned greater love and respect for my own animal body from my animal teachers. Animals taught me to listen more deeply to the needs of my own body, and what was important for my own optimum physical health. Nutritional needs vary by individual, and can also vary during the course of a person’s lifetime. When I really started listening to and honoring my own body, rather than imposing my intellectual ideas about what was “right” on it, I realized that I was much healthier when I included eggs, some dairy, and fish in my diet. This was a difficult adjustment for me mentally at first, because of all of my ideas about what was “right” and “ethical.” I am much more effective in all that I do, including my animal communication work, by adopting a diet that is healthier for my own particular body. I know some animal communicators whose bodies need to have meat products for optimum health; other people do much better on a vegetarian diet. There is as much individuality in the needs of human bodies as there is in the rest of the animal world, and animal communicators are no different in this regard than any other group of people. I also had to face the degree to which I was projecting my own unhandled pain onto the animals. Focusing on animal suffering at one time in my life was a mechanism I used to avoid facing the pain that I carried within me. With the animals patiently teaching me and helping me, I learned to face my own pain without projecting it onto them. As I did this, I realized that sometimes I assumed that animals were suffering when, in fact, they were not. This was a humbling and eye-opening experience for me, and ultimately extremely instructive as I sought to deepen my experience as an animal communicator. This is not to deny the reality of animal suffering in our world, particularly the suffering of food animals in modern factory farms. I do not believe that there is any justification for the cruel practices of modern factory farming, and the unnecessary suffering caused by these practices makes me much more conscious of making ethical choices about the animal products I may choose to consume. It is important to support organic farming, humane treatment of food animals, and in general, to make food choices with conscious awareness of their source. I try to only take what I need, and to do my best to be conscious of the source of the animal products I choose, and also to express gratitude for the gift of anything I take into my body as food. It is an imperfect world, and our choices are imperfect. What I have learned from the animals is that militancy on any issue really is not helpful and only alienates those we may seek to help. Anytime I make someone else wrong for their choices, I put out more combative energy into the world, which perpetuates more of the same. What I have learned from the animals is tolerance, respect, and honoring each individual. This has made me a better, more compassionate person toward other humans, and much more tolerant of those whose lifestyles or choices are different than my own. Listening to the animals’ wisdom, benevolence, and understanding of the fragile and temporary nature of physical life has made me much more willing to accept other humans’ choices, and to recognize there are no perfect choices. We all are doing the best that we can. Part 2 of this thought-provoking conversation includes answers to other aspects of Jean Engstrand’s question. Put Eating Habits Online? Maureen Harmonay While I understand and respect Ms. Engstrand’s desire to know whether a particular animal communicator ingests meat or animal products, I would suggest that she simply ask the individual. For the Animal Communicator Directory to flag this information feels like an invasion of privacy, and I fear that it would have the unintentional effect of building walls of defensiveness between us as practitioners, and possibly even between us and our clients. Lisa Shaw I would certainly not ask people in the directory to post dietary preferences. The purpose of animal communication is to communicate spiritually with an individual being or soul, or a group of beings, and is not a political movement. When Spirit speaks to me, I am in that moment guided to do what I am asked, to give information as it comes to me from the animal and spiritual realms, not to create an agenda for all animal communicators. Denise Schultz Asking us to state our personal eating habits is a request to submit ourselves for judgment. In particular, the wording of “….have no compunction about raising their fellow beings simply to slaughter and eat them,” is not the only mind-set among those who raise livestock. I know a woman who is a cattle rancher, one of the most spiritual and compassionate beings I have ever known. 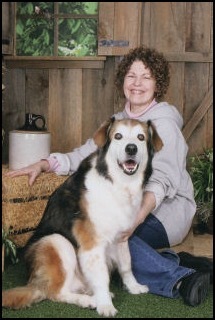 She has rescued animals (Dobermans, horses, cats, sheep, and cows) for over thirty years. She works 365 days a year, often starting before sunup and finishing after sundown. She cares deeply about giving a good life to the animals she sells at auction to make her living. She freely chose to become a rancher and has to choose it every day, because it is so demanding it would exhaust a lesser person to the point of despair. How many of us care this deeply for the well-being of any of the food we eat—plants, or animals? I have known a lot of farmers and ranchers I admire. Morgine Jurdan You can choose to no longer support people who raise animals inhumanely. I only eat meat and eggs from animals who have lived happy lives and who are not fed growth hormones or antibiotics, guaranteed by the health food store I have shopped at for decades. Animals often come to be used for food and become part of our bodies. They are not humans with fur and feathers. They do not think like us and they experience life differently that we do. I truly believe when we stop abusing ourselves and our fellow human beings, everything will change. It is already beginning. Thomas Cheng I'm not a vegetarian. I believe animals will reincarnate, so dying is not a problem; the problem is when animals are ill-treated on Earth. So I'm against animal-cruelty, and any inhumane way to raise farm animals, like foie gras and caged chickens. Hence I try to only eat certified organic meat. By definition, they are free-range animals who have a good and natural life. Michele Bustamante My physical makeup does not do well on plant life alone. Of the animal forms I consume, I eat small amounts of eggs, chicken and fish, although I have never eaten anyone I know. I thank whatever flesh I eat, whether it is plant or animal, and am ever so grateful for any being willing to help myself and other beings nourish our bodies. When I purchase any food, I buy from places utilizing humane farming practices, and I make other efforts to promote such methods. Where I feel we have “fallen,” is in our lack of respect for other beings. Our Native American ancestors communicated with and ate animals. The difference is they held a high level of reverence for all life and when they consumed an animal they also acknowledged the powerful energy that animal transferred to them. I have found that in order to be more effective in my practice, I have had to drop many beliefs. I also do not view communication with animals or any life form as a “cause,” but rather as a natural part of our existence on Earth. Thus, my eating habits do not deter me from working as an animal communicator. I hold the space of inner peace and stillness, that there may be Higher Consciousness and healing for our planet, and that those on Earth who are here to assist us with nourishment of our bodies, whether it be plant, animal or any other form, be treated with love, respect and gratitude. Someday I too will be eaten. May it be without judgment and may I nourish other forms just as I have been nourished, my body transferring energy to them and the planet. Lisa Shaw Indigenous people who have for thousands of years cultivated a spiritual relationship with the animals as teachers and guides and who communicate with them on multiple levels are meat-eaters. Although many tribal cultures no longer need to hunt for survival, they retain their dietary habits. Years ago I attended an intimate talk with a famed Lakota medicine man known for his family's potent spiritual lineage. When asked about his diet, he said without apology that he ate elk, buffalo, and beef. The approach to our food, like our approach to any metaphysical endeavor, lies in intent and gratitude, whether that comes as formal prayer, ritual, or thought. Some human beings are biologically suited to be vegetarians while some are not and it is genetically coded and/or a result of thousands of years of geographical adaptation. Tim Link Native Americans are a great example of how a human can honor an animal and at the same time use them for their needs. I believe in the Native American philosophy of treating all life with dignity and honor. I have spoken to animals that are used as a food source in today’s society. They seem to understand and accept their purpose here on earth. They have shown me no fear or worry about their mission. They just ask to be treated well while they are here and that we use them to learn and fulfill our mission. If someone feels that a vegan lifestyle is the right one for them, then so be it. If not, that should be fine as well. All animal communicators want what is best for animals. We work to help them, honor them and respect them every day. Conny Seydlitz Oberdorfer Many conversations with slaughtered animals of different species have made it clear to me what animals are afraid of and makes their lives hell is not death, but the way humans treat livestock. They suffer in how they are kept, transported, and slaughtered. This is what we are called upon to change and for this reason, I want to know exactly what I eat. I only eat animals when I know how they were kept, fed, transported, slaughtered, and processed. I try to follow the same procedure with the plants I eat. I also communicate with plants so that I can honor and treat them with the respect that each living being deserves, irrespective of species. Animals Weigh In Nedda Wittels As far as I have been able to determine, eating meat is not considered a violation of Higher Law. In fact, Echo, my horse now in spirit, has told me repeatedly that euthanasia of animals is the equivalent of the predator taking down the sick, elderly, and dying prey. It is, in her words, a “gift.” While we don’t eat the bodies of our pets, that is probably due in our society to having sufficient food available. In some cultures, an animal that is slaughtered is greatly honored before and after the killing and during the meal. Many feel they do not want to eat meat to honor the animals, and then they condemn and judge those who have made different choices. This does not honor the animals at all. Whatever your choice, it should never be judged by anyone. Animals understand being eaten. Animals understand the predator/prey relationship. Animals live in relationship to those other animals. In that relationship there is respect, honor, appreciation, and love of life that is passed between the animal being eaten and the one eating of its flesh. It is never taken unjustly, lightly or for granted. No life is ever wasted. However, most humans are not aware of what they are eating. They do not eat with spiritual awareness. If you did, you would be in relationship to all you eat, plant and animal alike. 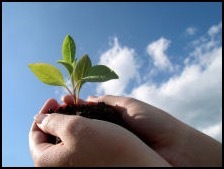 You would be conscious that for you to live, something lends its life to nourish you. You would thank each and every thing that nourishes you. And in that respect, that life would live on through you. When you are out of relationship with what you eat, then you do not honor what is being given to you. That is equally true for plant life as well as animal life. There is no difference. Life is life. Plants have conscious awareness. It just looks different to you. I am always thankful to the grasses and grains that have given their lives for me. That thankfulness is a part of who I am, as it is for each and every one of the beings who live with me on this farm. Animals understand that in the end we all are eaten. Our bodies are consumed by another animal, insects, or earth. It is part of the cycle. Why does it matter? Why do humans worry so much? Just eat what you're hungry for and if it doesn't work, then your body will tell you. 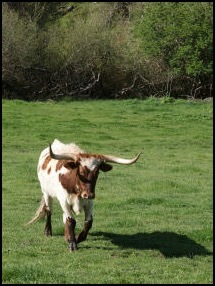 Barbara Molloy I had a very strong communication with a friend's young bull. When I walked up to the bull to say “hi,” the first thing he said to me as he puffed up was, “I am food.” He was well aware that he would be slaughtered soon. He was very proud that he would feed and nourish those that he knew loved him. He felt that he served an important purpose and ate as much as he could to plump up. I am a vegetarian now. There were times in my life when I ate meat because my body needed it. I have dogs that I feed a raw diet. It is important to me to know where their meat comes from and I support local farmers. I need to know how the animals are raised and how they are treated before I buy meat. We all choose what form we will take when we reincarnate. We choose our purpose. That bull knew his purpose. He understood his flesh would be consumed. He was also very fortunate to be loved by his family and humanely treated even in his death. We are all sentient beings, a part of the big wheel of life. We are all one. Gaye Rock I have questioned chickens raised under humane conditions to see how they feel about this subject. Their feeling is that they have had a pleasant life, and it will end at some point. They are not opposed to it ending for the good of someone's meal. However, it is quite a different story for those animals raised in terrible conditions where terror is the order of the day. So, I urge other communicators to aid those organizations who look out for farm animals to make sure they are raised and slaughtered humanely. I know that you kill my kind to eat lamb, and yet I speak to you with love and the hope that our communication can help build avenues of trust and respect between humans and all other species. The question of humans eating animals is one I have lived with. We forgive you. We place no value on physical life over the continuation of consciousness without a body. You will promote your own well-being to the utmost because that is the law of natural life: to promote one’s own well-being above the interests of all others. You are animals and you eat what you can. You do not kill me; you ask me for my help and I am glad to give it because I am interested in building bridges of understanding, not claiming power over your conscience. I will welcome you whenever you come into my fold and will work with you toward my goal, for I see it is also yours. I am grateful for your work to lessen suffering. If your choice is to further the profits of an industry that causes suffering than I might not welcome you as a friend, but I would welcome you in the work we do together. Tell this to the woman who asked the question: walking in the unity of one consciousness makes it natural to accept the flaws of others, for we do not have to feel alone in our struggle, or be in a struggle at all. We were once mighty and great, roaming the land living our lives in freedom, and giving ourselves to the humans you call Indians so that they could live and roam freely as we did. We were ONE, so it didn’t matter to us whether we lived as buffalo or, having been eaten, becoming life support for others. We were treated with respect and honored. They appreciated us as no humans have since that time. Now we are a curiosity in a National Park. People stare and try to touch us. Some of our kind is raised for food like they raise cows. Sometimes we are hunted if we stray off of the ‘reservation’ (National Park) or just killed where we stand. Now the hunter, the park visitor, and the rancher never seem to revere, honor, thank, or appreciate us as the Indians once did. That is what we miss! This is what we want! It is not about eating or being eaten. It is about respect, appreciation and honor. It is the attitude with which we are treated by humans that matters most to us. Ask the grass or any plant which you eat. They will tell you the same thing. Life wishes most of all to be honored, respected, and appreciated. For we are all ONE! We are all God! April Prager Who really knows why some make the decisions they do and why? Most of the time we all project our own thoughts onto others not really knowing what has brought people to the decisions they make. We all have free will and we have to honor that. Shirley Scott In ALL matters, your intent is the judging or ruling force. We should be able to honor the path of another person even if we don’t agree with it. If someone eats meat, that doesn’t mean they don’t honor the animal kingdom or that they believe in the “slaughtering” of animals. Many people choose to eat meat that is grown and harvested in a humane way. We are starting to get that message across but people have been eating meat, going to war, or participating in other destructive human habits for thousands of years. Michele Bustamante I used to be quite judgmental about what I put in my body. I ate as a vegetarian long before “vegan” became a coined phrase and the way to go. I not only judged myself, but I judged others who didn’t think like me. I found this energetically constricting and a great ego builder. The more I identified with the label, I am a vegetarian, the more I strengthened my ego and disconnected from my true nature and the beingness of others. When I started swimming with dolphins and whales, this feeling of separation and judgment would leave me—judgment of food, myself, and especially harsh judgment of other humans. I don't know of any animals who judge what they eat as humans do. Diane Samsel Since I have allergies to grains and dairy, I limit my diet to animal proteins, fruits, and vegetables. Many years ago I was conflicted about being a meat eater. Because eating animal flesh was upsetting to me, I once tried, but could not maintain my health on a vegan diet. Then, while driving in the Rocky Mountains, I came across a herd of cattle grazing in a beautiful pasture. They made a glorious sight. I asked to speak with the herd's representative and asked this consciousness if it might share with me it's feelings about being raised for human consumption. The animal soul group leader answered in a serene and lovely voice and informed me that everyone in the herd understood that once the bodies were harvested, the spirits returned to the herd to be reborn. This was how it was and had always been. There seemed to be no stress in the reply. Since that day I've had many talks with animals about death and dying and the importance of the physical body. I have come to appreciate that animals identify more with their spirits rather than their bodies, and have a much longer view of life than we do. It's birth, life, death, birth, life, death.... like breathing. Prey animals expect to be preyed upon just as hunters need to hunt. To show my respect, I buy meat that has been humanely raised on a biologically appropriate diet. 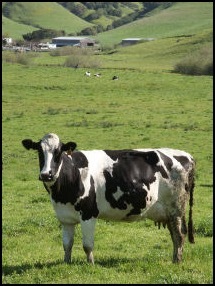 I avoid factory-raised animals and support efforts to reform our country's agricultural practices. I have been a food activist since the 1970's. I ran South Carolina's first food coop for many years and during that time taught one of the emerging stars in the slow food movement how to cook. I am into deep ecology and have tremendous respect for the rhythms of nature and the need for me to contribute to a healthier planet. Kathi Sherburne Jean, I appreciate your concern for the well-being of our animal friends, especially those that are taken for food. While most farm animals expect and deserve to be raised humanely and die quickly, that is not the case with the current mass-production of farm animals. Hopefully, this will change sooner rather than later. In an ideal world, the "lion would lie down with the lamb" and there would be no predation in order to survive. However, the animals I have connected with are able to leave their bodies before death and the body means little to them once they are in spirit form. I look forward to a time when eating is no longer required for any living being to survive. Perhaps the endocrine system will take over and make eating and the digestive system a thing of the past. As a communicator and human, I do not like the thought of eating another living thing in order to survive. However, until the time comes (and I believe it will), we have no choice but to eat plants and animals to survive. The best we can do is respect, honor, bless, and thank those beings whose lives were given to sustain us rather than judging others or carrying guilt over our need to eat to live. Animals are very forgiving and in the case of those that were traumatized by their deaths, I am able to conduct post-mortem BodyTalk sessions on them so their spirits won't carry over any negative cellular memories should they decide to reincarnate in whatever form they choose. Shirley Scott There are numerous Holy Scriptures that tell us how feasts were given in honor of a guest and that guest would bless the food and give thanks to the grain, the wine, and the beasts who all gave their life to feed the people. Is this something that has been bred into humans for thousands of years? Eating is something we don’t have to do if we have our energy systems aligned right (just ask the very few Breatharians) or if we have enough faith in our Creator to supply our bodies with what we need from just the air we breathe. However, not many of us are so perfectly aligned and even Breatharians don’t “mistrust” anyone who eats. So why do we eat? To experience, learn, heal, and grow. You can’t do that in a perfect culture or we would have stayed on the other side where we are perfect without food. Judge not what a person eats for it only feeds the flesh and bone. Look at his heart and thoughts as they feed his soul. Gaye Rock I have long struggled with the issue of being a vegan in order to communicate with animals. Finally, I decided to do biblical research on the subject. Leviticus 11: 2-3 states: [the Lord said to Moses] “Of all the animals that live on land, these are the ones you may eat.” That chapter goes on to detail the meat and fish that are acceptable to eat. Also, in Luke 24:41-43, Jesus eats fish with his disciples, and he partakes in meals several other places in the New Testament (think loaves and fish). So my theory is that if God commanded us to eat meat, and Jesus ate meat, they must have provided it for humankind. We are permitted to eat the food God provided for us, as well as the vegetation. And certainly, THEY communicate with animals. In addition, many people are light meat eaters, only having meat once or twice a week, and many of us work to improve the conditions under which animals are raised for food. Lisa Shaw Those who are most comfortable in Western Biblical traditions can find compelling arguments on both sides: after the expulsion from Eden, our food source was changed as a divine consequence of disobedience; or, the ideal, as in Eden, is to refrain from killing of any sort for any purpose. Whether the Bible is myth or metaphor, it carries a potent message. Some Judaic scholars have argued that the purpose of such stringent dietary laws detailed in Deuteronomy and Leviticus were, in fact, God's way of deterring humans from actually eating meat. The world creates its own prisons by imposing one view over multitudes. Those who do choose to eat meat can make earth-friendly choices by buying organic (products), free range eggs and chicken, and by avoiding commercial factory farming products. Blessings and Gratitude Karen Craft To me, the key to living with myself is radiating intense gratitude to all the living beings that give their substance to nourish me. I beam love to everything I eat, and I leave offerings for my tomato plants and my cherry tree when I harvest their fruit. Much of my world outlook is colored by my experiences in the shamanic altered state. I once had the honor of being merged in consciousness with a wolf in her pursuit of a rabbit. The kill was not disgusting or violent as we humans tend to perceive it, but was instead a pure exchange of energy. I knew the wolf's infinite love and respect for the rabbit, and I also felt the love of the rabbit for the wolf. It was an immense honor for the rabbit to leave her body and offer it to feed the pups of this wolf. That shamanic journey forever changed how I view predation. Oh, Shrew, exquisite expression of creation, give me your life force in exchange for my perfect love. And, a return of your spirit to God. Thank you. I faced another dilemma when our ancient fabric couches became too disgusting to tolerate, and we searched for alternatives. The only furniture that could stand up to four huskies and two cats was upholstered in leather. I cringed when I told my vegan animal communicator best friend. However, every single time I cuddle up on those soft couches, I send love to the animals who provided their skins. I seem to flashback to a time I was huddled cozy under a buffalo robe, singing praises to the creature who provided me with that protection from the bitter cold. My prayer is that we can all work together to improve animals lives who are raised to feed us in addition to promoting a more vegetarian diet. Kathi Sherburne Every living being requires the life of another in order to survive. Vegans eat plants which also have emotions, feelings, intelligence, and life source energy and many communicators are able to communicate with plants. I bless everything I eat and feed to my animals and thank the being(s) that gave their lives so we may live. Laurie Moore & Jessie Justin Joy Animals in a respectful situation of predator and prey know that the witness and the one being witnessed are the same being. The one leaving the body and the one eating to sustain the body are the same one. The giving and receiving is of mutual benefit when agreement and honor is acted upon. Ask the animals about this. Talk to individuals! There is none (no-one) essentially—only many appearances from one essence. This is my personal soul experience. From none comes many an image and each image becomes physical and emotional. The opportunity of an individual incarnation is to note where and when “I” seems to jump into the reality of the images dreamed up and to give motion, value, and manipulation to this. (Manipulation can be quite ethical, pleasant, and virtuous as well as unethical, distasteful, and lacking humanitarian care.) My comment is not about right vs. wrong but rather an invitation into an awareness that may bring new answers. Based on the uniqueness of the “I,” there will be more attention placed on manipulation in the mental, the emotional, and/or the physical for desired happy outcomes that the mind thinks rely on particular configurations and circumstances! At some point this is noticed. At this time, grace, attention, or practice takes consciousness of the “I” back to the witness/one being witnessed who is none. This is my personal heart experience. As this taking back becomes the place of residence, life becomes more and more sweet. Love becomes love loving love and all responsibility to be anyone is dropped. Responsibility becomes an alignment to the witness/one being witnessed, which the animals devote full attention to all day. What the answer is to anything this moment may be a surprise. Often in spiritual groups there is an assumption that we are supposed to model ourselves after a perfect God/Goddess. Where is one? My finding is that God/Goddess comes from the incongruence. In each being—no matter how devoted, awakened, and aligned with the witness/one being witnessed—imperfect, faulty, non expected behaviors, attitudes or emotions will be revealed. This is the invitation to compassion. This is the door into which human love can walk. This is what animals live. We all eat and are all eaten. The opportunity to do so in an awareness of love and respect for any with whom we participate in the predator/prey situation (on either side) is available. To forget and think “I” am separate will cause a pain for self and other. This is true whether one is omnivore, carnivore, or herbivore. But in the remembering of the oneness, new answers of peace come. The desire to participate in love rather than scold or preach becomes preferable. Often I was praised or scolded by assistants who assumed it was my job to be unconditionally loving (to spare them of any inner pain). Either I did it right or I didn’t do it right. Often I saw people of one eating style berate people of another. I have been of both eating styles at different times and judged from both angles. I have judged the teacher and I have been judged as teacher for all kinds of human vulnerabilities. So now I sit in my heart with no opinions—simply an opening to each wave. My own karmic pattern allowed this judgment to give rise to emotional hurt in my physical heart many times. This hurt was about what some humans told me was not right but animals accepted as part of life. I felt very trapped and hurt many times in experiencing the judge (i.e., in being the one judged or being the judge or watching others in the roles, too.) I took an invitation I had received from a spiritual teacher/friend and sat deep into all the energies arising from this dynamic between self and helpers. Eventually it became clear that it was Love’s job to be Love, for Love had no choice and was doing a wonderful job in all occurrences! The being “Laurie” came to study along with all other beings in the dance of duality which was held in the lap of everything. I came to make choices and to be imperfect. I came to honor others in their studies. It became clear that there is only one physical being, one emotional being, and one soul essence. Within this is a deep need to respect one another in our duality roles that exist simultaneously with the oneness we are at heart. From this I experienced that the witness and the one being witnessed are the same one. There is none. Each brain, heart, and body within this very rich and scented-like-flower petals phenomena, are one organism. There is one witness/one being witnessed. There is one physical organism, one mental organism, and one emotional organism. In the center of this is the void. This is the music of the heart offering an opening door in many waves that can be heard, seen, and felt as oneself. Each appearing individual being is made of these waves. Deep inside is an eternal musical yet simultaneously silent void composed of joy. From this joy, new answers are available in place of making anyone wrong. The world is rebirthing herself and we have the opportunity to discover the new answers via the heart. Can we sit silently in this heated topic each MOMENT before knowing what is best for anyone else? Animals do. Elizabeth Severino I have decades of experience in studying and writing about the energy and the spirituality of foods, particularly the use of food to accomplish spiritual elevation. I’ve published two books on the subject. I quote the content from my book, Diet to Raise Your Spiritual Level that is relevant to our current discussion. I did research for the book over many years and wrote it in 1996 in collaboration with Rabbi Yosef Serebryanski, a highly experienced Rabbinical Food Supervisor and an expert on the energy of food. I present here basic tenets of the energy of food and the spirituality of eating. Eating is a daily celebration of the miracle of universal life. Eating allows us to re-affirm our Oneness, our connectedness, to All. Eating provides us two opportunities consistent with and flowing from the duality of our existence as spirit in human form. The first opportunity is to maintain our physical connection with our body. In other words, we eat to be physical, to stay in our bodies, to stay “alive.” The second opportunity eating provides us is less immediately obvious. It is to elevate ourselves spiritually. In exercising this opportunity, we eat to be closer to Spirit, to Creator. When people eat seeing only the physical value of the food, regardless of what they eat, it pulls them down. When people eat aware of the spiritual value of the food, it elevates them. Awareness and intention are key. At the physical level, all foods having as their intent to raise one’s spiritual level, must be cleansing. Their purpose is to release spiritual blocks. At the spiritual level, all foods must be energizing, to support growth and the flow of Divine Energy from the Creator. Humans are composed of consciousness, body, and soul. The mechanisms of our human soul-bodies is so wondrous that everything in our environment affects us—thoughts, words, deeds, the people in our lives, what we do for a living, the geography of where we live and work, how we breathe and move, how and how often we worship or engage in times of sacred contemplation, plus what, and how often, we eat and drink. We have the free will to use our soul-bodies and the soul-bodies of what affects us, including food, in a positive or negative manner. Therefore, food in its broadest sense comprises anything we assimilate: attitudes, thoughts, activities, air, water, sunshine, companionship, as well as whatever specific substances we ingest primarily by mouth. Everything matters. Everything has conscious life. Everything is composed of consciousness, body, and soul, not “just” people and animals. Everything has Creator energy, everything is spirit in form. Delineating between human animals, non-human animals, plants, etc. is spiritually incorrect. Spiritually, we are not to cause pain. In all cases, the energy of food must be whole, the product gathered or prepared as kindly and as cleanly as possible, and the original “food-stuff” itself must be free of sickness or toxicity and as wholesome in nature as possible. A spiritual diet will be a diet reflecting the core concepts of kindness, gratitude, and balance. Cultures very close to nature have known for millennia the importance of asking permission of a food to be consumed. It is part of a humane, kindly approach to the Oneness of all life and an understanding of the food/energy chain. A truly healthy soul-body can eat anything it wants in moderation because it will be able to “transmute” or change to a supportive energy level occasional foods which may be less quality that normally desirable. The energy of foods such as fresh fruits, fresh vegetables, whole grains, and living waters is the highest. Fresh, wholesome foods, grown locally and personally, and harvested and prepared for consumption on the day harvested, have the highest energy of all. If you’re in doubt before consuming a food, pause a moment. Sense the food. Ask your body, Should I eat this? Will this food bring me a high level energy? Listen to your body’s reply. Your body will tell you if the food is the proper food for you. Not sure your body will do this yet, or that you’ll actually hear the response? Practice. Some things in life are profoundly simple. Eat spiritually uplifting foods which nourish the physical body and you will consistently raise your spiritual level. Don’t and you won’t. At the vibration level where the Earth, humanity, and animals are living right now, consumption of animal flesh is necessary for the health of many species. Some people feel that humans will eventually evolve into vegans. Others feel that we will evolve to exchange energy without consuming other life forms at all. Many people function very well eating vegetarian or vegan diets. Many humans find that consumption of animal flesh is necessary to have good health. Some human beings seem to be biologically suited to be vegetarians while some are not. Nutritional needs vary by individual and also over the course of a lifetime. Hormonal and other physical changes and emotional stresses can change our nutritional needs and require us to eat different combinations of plant and animal food at different times to feel balanced on all levels. Honoring and taking care of our own animal bodies (as we do our animal family members) includes eating what helps us to function at our best. Individual animal communicators have received unique guidance from animals about whether they should or should not eat a particular species or animals in general. For ethical and emotional reasons, some people avoid eating animals because of how food animals are treated and slaughtered. Even if they feel better physically eating meat, some people find more spiritual harmony in being vegetarian. Some people feel that being vegetarian helps their communication and spiritual connection with animals. Others find that eating meat enhances their communication with animals due to their own improved physical and mental health and the oneness they feel with animals and the whole cycle of life. Others find their diet has no relevance to their communication with animals. We are all connected and can communicate with all beings—animal, plant, or mineral. The best we can do is make a conscious choice about what we eat to be as balanced on all levels as possible. Plants have feelings, intelligence, and consciousness, so ideas about eating animals apply to plants and anything we ingest (including minerals or water). Most animal communicators honor and communicate with all forms of life. Animals have communicated that they know they are not their bodies and are not attached to the consumption of their bodies after death, even though, they, like all in physical form, seek to survive while alive. Animals have a pragmatic sense of life and death and understand the predator/prey relationship. There is love, honor, appreciation, and reverence between predator and prey species. Love of life and oneness can be experienced between the animal being eaten and the one eating its flesh. Animals accept that losing their bodies so that others have sustenance is natural. No life is ever wasted. Animals choose different forms and life experiences to accomplish their own life purposes. All beings come in service to others. Some animals have communicated that they are aware their bodies will be slaughtered for food and are proud to feed and nourish those that love them. When beings of any species (plant, animal, or mineral) consent to nurture others by providing their bodies as food, this service is to be honored. Honoring our food sources means ensuring as best we can they (animals, plants, minerals, water….) have a good life that meets their needs and a respectful death that minimizes pain and suffering. Our bodies are consumed by other forms of life and composted by the Earth to become part of other bodies. Neither animals nor plants are troubled by becoming part of others’ bodies. Bodies and body parts (from skin cells and other bodily emanations while alive to our whole bodies on death) continually recycle and become part of other bodies. Every living being requires the life of another in order to survive. We eat or are responsible for killing plants and animals in our food growing and processing. There is a grand design behind the recycling of bodies through other bodies. The giving and receiving is of mutual benefit. In Nature, we are all one. Dietary choices do not confer superiority over others or the right to judge. Animals don’t judge other creatures, including humans, by what they eat. Animals communicate with each other and eat what is natural and available to them. They are not concerned about human dietary habits. Animals communicate tolerance, respect, and honoring other beings, including humans. We can learn compassion toward other humans from animals and realize we are all doing the best we can. The guilt and judgment we feel over others who have a different view than ours about what they eat can separate us from each other. Animal communication can connect and educate us. Animal communicators do their best to prevent needless pain and suffering to individuals of any species. Many animal communicators strive to find organic, well-treated plants and animals for their nutritional needs and advocate humane conditions for all. Reverence, honoring, asking permission to eat another’s body, prayer, loving intent, blessing and thanking plants, animals, and all life for their nurturance, are aspects of the spiritual approach to eating that many animal communicators practice. Animals appreciate being treated with respect. Each of us has her own path to follow, own lessons, karma, life purpose, and sacred contracts with others. We can’t judge what others do. We have the right to keep private what we eat, drink, think, and how we live our lives. Listing dietary habits in the communicator directory can lead to negative judgment and discrimination. To know something about individual animal communicators before you do business with them, ask them. Some religious groups have no dietary restrictions and eat everything, viewing it as God-given. Some people believe that eating is something we don’t have to do if we have our energy systems aligned right or if we have enough faith in our Creator to supply our bodies with what we need from the air we breathe. Food includes anything we assimilate: attitudes, thoughts, activities, air, water, sunshine, companionship, as well as what we ingest by mouth. Spiritually uplifting foods which nourish the physical body raise our spiritual level. Eating is a celebration of the miracle of universal life. Eating allows us to re-affirm our Oneness, our connectedness, to All.